All seven Big Ten teams are in action this weekend to vye for the first-ever regular season conference crown, which we will know the winner of by the end of the day Saturday. Washington and Air Force also square off while Oklahoma heads west as well to take on California and UIC in hopes of getting another high road score to increase its lead over No. 2 Stanford in the rankings. As always, you’ll find everything you need to follow along with all the meets happening this weekend, including previews of the top matchups and every scoring and video link you could ever need. Why You Should Cancel Plans For It: With a win in this meet, Michigan can clinch at least a share of the inaugural Big Ten regular season title. The Wolverines, however, will have to do so on Nebraska’s senior night, and those seniors, including Anton Stephenson and Andrew Zymball, won’t want to take an L in their final meet in Lincoln. 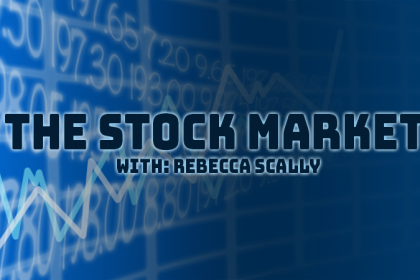 Michigan needed a big comeback and lots of help from Cameron Bock to pull out a win last week, so if the Wolverines start to fall behind in this one, don’t expect the Huskers to let them come back quite so easily. What Else You Should Know Before Tuning In: Michigan sits a 4-1 in the Big Ten standings while Nebraska has already been eliminated from claiming the regular season title with a 1-4 conference record. The Wolverines are guaranteed at least share of the title with a win, but with a loss they will need Iowa to also lose to at least one of the teams in its tri meet to still be champions. Why You Should Cancel Plans For It: If Iowa is able to pull of its third huge upset of the season, the Hawkeyes will leave Minneapolis as Big Ten champions. The consistency of gymnasts like Jake Brodarzon and Nick Merryman has lifted Iowa on several occasions this season, but its ability to perform in necessary situations will be put to the test with a title on the line. Penn State enters as the favorite based on the rankings, but Minnesota’s freshmen contingency and sophomore superstar Shane Wiskus will be hard to beat at home. Nittany Lions leader Sam Zakutney will certainly be up for the challenge, but Penn State will have to manage without top ranked pommel horse worker Stephen Nedoroscik who is representing the U.S. this week at the Doha World Cup. What Else You Should Know Before Tuning In: With a 3-1 record, Iowa will need to defeat both teams to win the regular season title if Michigan also wins its meet. If the Wolverines lose, Iowa can afford one loss to still tie for the title. Minnesota and Penn State both sit at 2-2, so both squads need to win the meet for any shot to share a piece of the championship if Michigan loses at Nebraska. 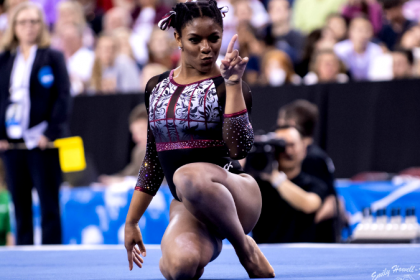 Why You Should See the Error of Your Ways: Heading into USAG nationals next weekend, both teams will be looking for a good last regular season meet to enter the postseason on a high note. Air Force, sitting just outside the top 12, will also be hoping to hit across the board to get a high enough score to challenge Army for that final spot to qualify for the NCAA championships next month. The Falcons have beaten the Black Knights twice head-to-head this season, so they’re likely not happy sitting below them in the rankings. Look for strong routines from Falcons Lukas Texeira and Ethan Esval to lead the team, and watch for Huskies gymnasts Nathan Tsuji and Jacob Jarrett to spoil the party. Why You Should Clear Space on Your DVR: Oklahoma retook the top spot in the rankings with last week’s performance, but this week will aim to accomplish something more important. With two wins on Saturday, the Sooners will break the tie for the third longest win streak in NCAA history, currently sitting at 111-straight victories. 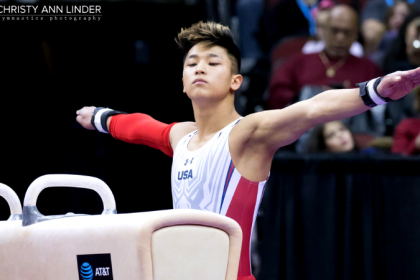 With a roster full of star gymnasts like Yul Moldauer competing, it will almost certainly happen. 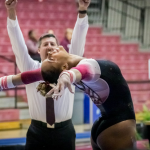 California will be competing for the first time in two weeks and will be looking to add another 400-plus score to its four-score average and potentially move up to 10th in the rankings. UIC, with likely only three more competitions as a fully-funded team, will undoubtedly be aiming to leave everything it has out on the competition floor. Why You Should Clear Space on Your DVR: Although both of these teams’ conference records have eliminated them from winning the Big Ten regular season title, this should be a highly contested matchup with some incredible individuals to watch. Illinois’ Michael Paradise comes in as the second-ranked gymnast in the country on pommel horse, followed closely behind by Alec Yoder of Ohio State, who has competed on the event internationally as a member of the U.S. national team, in third place. 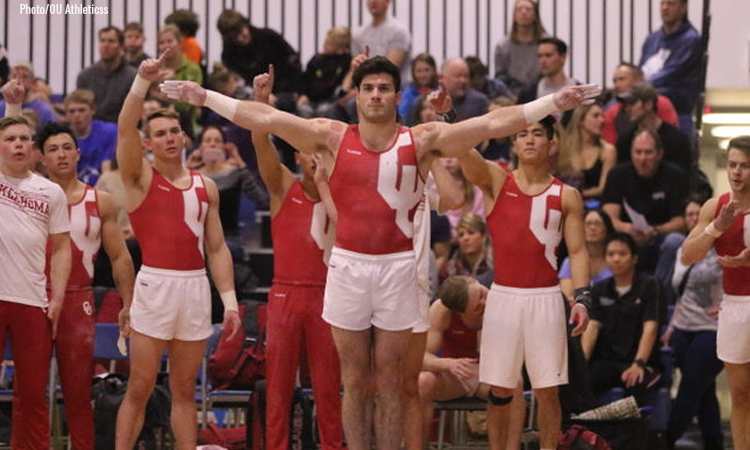 The Illini also boast the top-ranked gymnast on rings, Alex Diab, while the Buckeyes claim Sean Neighbarger, who is currently ranked fourth on vault. These aren’t the only meets happening this weekend. To see all the matchups all in one place, take a look at our master schedule. You can also find live scoring and video links for all this weekend’s competitions below.